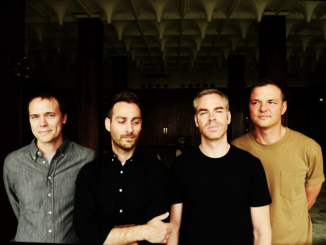 American Football has shared the music video for ‘Silhouettes’, from the forthcoming full-length album, American Football (LP3), out March 22nd on Big Scary Monsters. Directed by Shawn Brackbill, the video is based on a treatment from the band’s own Mike Kinsella and follows an undulating modern love story of two lovers as they drift in and out of each other’s lives. Where they ultimately end up is for viewers to interpret. The palpable chemistry and emotion portrayed by the actors in the beautifully shot autumnal footage are surely aided by the fact that the characters are played by the real-life couple of Cale Parks (of the band Aloha) and his partner Kendra Smalter. An immediate contrast between LP3 and its two predecessors is its cover. The two previous albums featured the exterior and interior of a residence in the band’s original hometown of Urbana, Illinois (now attracting fans for pilgrimages and photo opportunities), by the photographer Chris Strong. But American Football knew that LP3 was an outside record. Instead of the familiar house, this time the cover photo (again by Strong) features open, rolling fields on Urbana’s borders. It is a sign of the album’s magnitude in sound, and of the band’s boldness in breaking away from home comforts. American Football also joked that LP3’s genre was ‘post-house,’ because of this very conscious visual break. LP3 is contemplative, rich, expressive, yet with a queasy undercurrent. 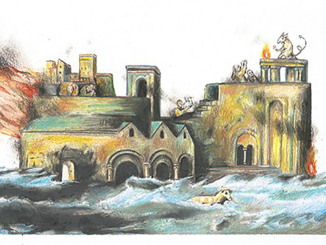 It is heavy with expectancy, revealing its ideas slowly, eliciting the hidden stories people carry around with them. 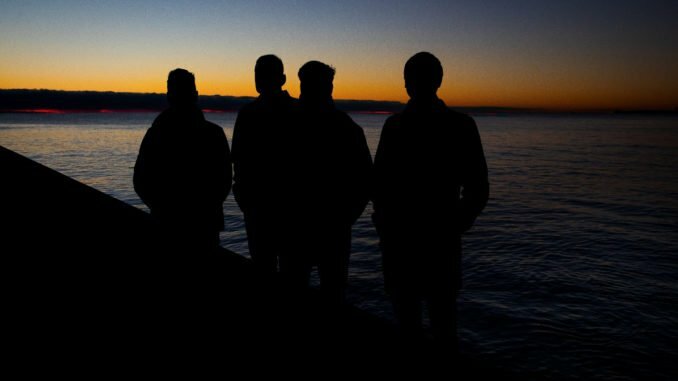 “I feel like my lyric writing has changed a lot over the years,” says Mike. “The goal is to be conversational, maybe to state something giant and heavy, but in a very plain way. But, definitely in this record, I keep things a little more vague.” As on the first album, the lyrics on LP3 may seem confessional and concentrated, but the more you scrutinise them, the further their meaning slinks away. Or, as Mike tellingly sings on ‘I Can’t Feel You’: I’m fluent in subtlety. “Somewhere along the way we moved from being a reunion band to just being a band,” says Steve Holmes. 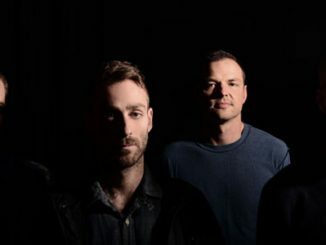 American Football are now a bona fide ongoing focus, and they are making some of the best music of their lives. American Football (LP3) stands with two other rare reunion successes – Slowdive and My Bloody Valentine’s mbv – as a fine example of how a band refinding one another can augment, rather than taint, their legacy.